We all know ’em, but do we all love ’em? I’m talking all things crudité here friends and it’s time we step it up a notch and move past raw veggies and ranch dip. I remember as a kid (veggie loving kid, might I add) I would look at cruditè s with boredom and pick celery sticks away from the black olives then dunk them in ranch dressing. Luckily times have changed and more goodness is about to be served on that platter. Bookmark this asap to serve as your ULTIMATE guide for how to make a nourishing, fun, simple, and delicious crudité for the holidays, your next cocktail party, or gathering with friends. What is crudité? Essentially raw vegetables arranged on a large serving platter, with a dipping sauce, made to be shared amongst guests and vary upon region and customs. For example, growing up in the Midwest we always had these at every gathering and typical foods where celery sticks, bell peppers, carrots, cauliflower, tomatoes, and broccoli served with ranch dressing. There’s nothing wrong with that assortment, but we can get a little creative AND show off different types of crudité. Presentation is everything! 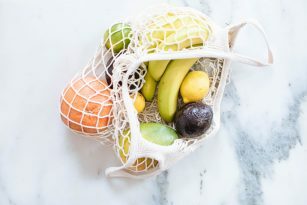 This is such a beautiful example of how we can arrange and display fresh fruits, veggies, nuts, seeds, and dried fruits to encourage healthy habits like eating more veggies and getting excited about whole foods. Think outside the box. As I mentioned, crudités are typically made up of raw vegetables, but mix it up! Try roasting, steaming, marinating, and cutting veggies in different shapes/textures to add variety to the flavor and also visuals. Beyond vegetables, think about dried fruits, nuts, seeds, fresh fruits, high quality chocolates, hummus, potatoes, pickles, radishes, avocados, vinaigrette based dips, kale chips, crackers (like my Raw Onion Flax Crackers from the #NScookbook which are ridiculously good! ), and also proteins! You can add baked tempeh, tofu, grilled shrimp, smoked salmon, hard boiled eggs, etc. When I dip you dip, we dip. Bye ranch– try something new like the Only Hummus You’ll Ever Need from the #NScookbook, beet hummus, roasted red pepper puree, baba ghanoush, yogurt based dips like tzatziki, Classic Cashew Cream, black bean dip, salsa, Lemon Lime Guacamole, anything your heart desires! Pretty platter. Here’s the really FUN part about making crudités, arranging them and making them look pretty, enticing, and easy to access. You can go super modern and lay out everything very organized and straight, or a more rustic approach of laying them out with a flow between each other, mix in herbs or greens to fill in negative space, and lastly use a platter that won’t steal the show but support it. Some of my favorite serving platters are from Rookwood Commons Pottery, West Elm, and Crate and Barrel. Supporting cast. Crudités are often seen as an app, but you can actually make it quite robust enough to serve as a side dish to an entree. Be sure to have plenty of extra veggies and the main components ready on standby to re-fill as the evening goes along and people are enjoying it. Logistics. Be sure to have small plates and napkins for your guests to have a home base for those dips! I’ll typically arrange them by the crudité to encourage guests to make up plates and enjoy them standing up, mingling, or bring to a common area to sit and enjoy. That’s it guys! Making a special crudité is super simple and all about those ingredients. Have fun with it, be creative, and enjoy! The one I pictured here is a play on dried fruit and nut crudité with pops of fresh veggies, hummus, assorted olives, dark chocolate covered almonds, gluten free crackers, and fig jam. Honestly, who needs a holiday to enjoy this? THIS is my jam, I could totally eat from this every day for a snack. How do you serve up your crudité? Any favorites dips or unexpected additions? Share ’em in the comments and let me know what you think of this healthy crudité platter! And if you make your own crudité for your holiday celebrations, be sure to share on Instagram with #nutritionstripped so I can see! p.s. Get even more healthy recipes and healthy living tips not on the blog in the #NScookbook! Get your copy here.